You can’t in good conscience call an album that sold over a million copies within months of its release underrated or unappreciated, so let’s say Panorama is misunderstood. Their first two records featured the guitars in the fore and the synthesizer in the background (most of the time, anyway). Their third album inverts that formula. As a result, it lands firmly in the new wave camp populated by Iggy Pop, Devo, Wall of Voodoo, Gary Numan, et al. Personally, I think it was a bold move. 1980 was a year for pushing envelopes, from Laurie Anderson to David Bowie, and The Cars—who had heretofore straddled the middle lane between rock and new wave—take a left turn down stranger avenues. Even the hit single (“Touch And Go”) was eccentric. The only knock on Panorama is that it didn’t contain a lot of standout songs. “You Wear Those Eyes” is a winner for sure, but the band hadn’t established a market for its ballads yet. “Gimme Some Slack” and “Don’t Tell Me No” (one of the few songs here to feature Benjamin Orr on lead vocals) are really album tracks that were elevated to single status in the absence of anything better. The title track is fair warning that Panorama will be a bumpy ride. It’s their darkest opening statement to date, with an ominous arrangement that would have felt more at home on an Oingo Boingo album than The Cars’ first two records. The whole album seems to run on negative energy: unhealthy relationships (“Running To You,” “Don’t Tell Me No”), outsiders looking in (“Down Boys,” “Misfit Kid”). Panorama is clearly a creature of the studio and seems to reflect Ric Ocasek’s state of mind more than the earlier albums. It’s hard, for example, to imagine that Elliot Easton was thrilled with having the guitars pushed into the background, that Ben Orr wanted fewer songs to sing or that David Robinson was psyched about playing the syndrums (although maybe he was). Whatever the reason was for the shift, Panorama would turn out to be a dark anomaly, as Shake It Up returned to upbeat rock. If you were looking for a fitting companion to Panorama in their oeuvre, you’d need to look forward to Beatitude. Then again, once you’ve heard that album, you probably won’t look forward to hearing it again. All songs written by Ric Ocasek. 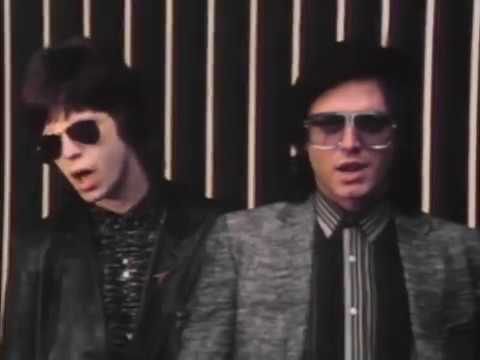 Elliot Easton (lead guitar, backing vocals), Greg Hawkes (keyboards, saxophones, backing vocals), Ric Ocasek (vocals, rhythm guitar), Benjamin Orr (vocals, bass guitar), David Robinson (drums, backing vocals). Produced by Roy Thomas Baker; engineered by Ian Taylor; production assistance by Thom Moore. Cover design by David Robinson. Photography by Paul McAlpine. Released on elpee, cassette and 8-track on August 15, 1980 in the US (Elektra, 5E/5CS/5T8-514), the UK (Elektra, K52240), Brazil (Elektra, 32061), Canada (Elektra, X5E-514) and Germany (Elektra, ELK52240) with lyrics innersleeve; reached #5 on the US charts (RIAA-certified platinum record). Re-issued on compact disc in the US (Elektra, 514). Re-issued on compact disc in Europe (WEA, 60340).